Since Grandma would have been 90 today, I thought I would put together a couple of memories of her to commemorate her birthday. Not so much a biography, just more of my personal memories and a couple of pictures through the decades of her life. 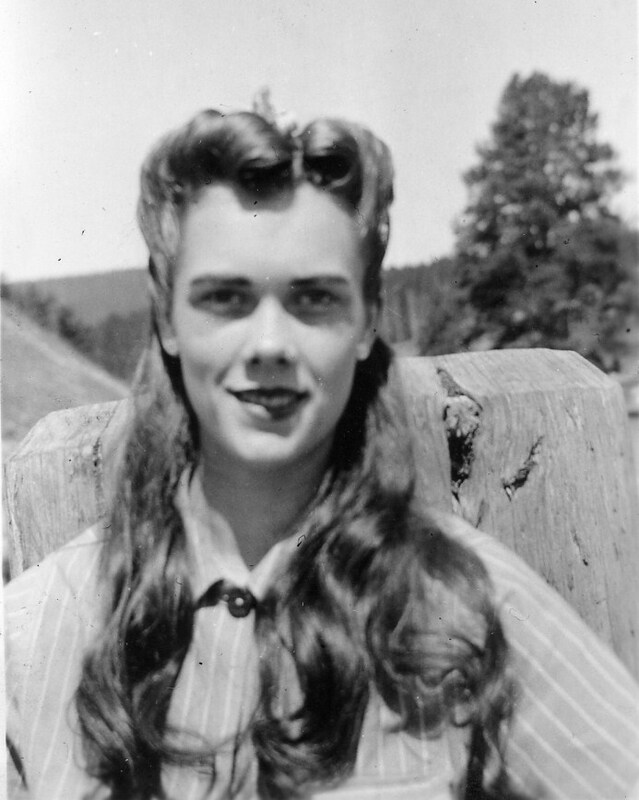 Gladys Maxine Donaldson was born 20 September 1921 in Ogden, Weber, Utah. I have written of her parents, David and Dena Donaldson, previously. 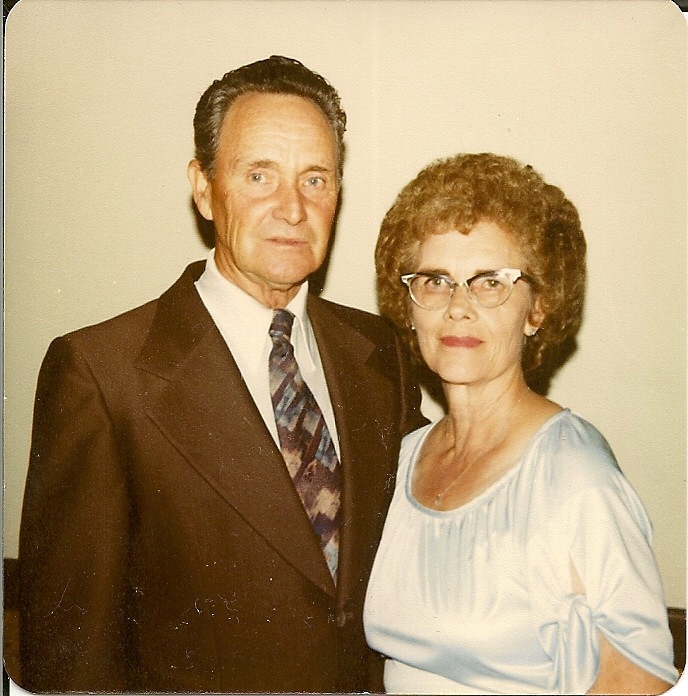 Grandma married Milo James Ross 4 April 1942 in Ogden. I have written some of their history at the following link: Ross-Donaldson Wedding. 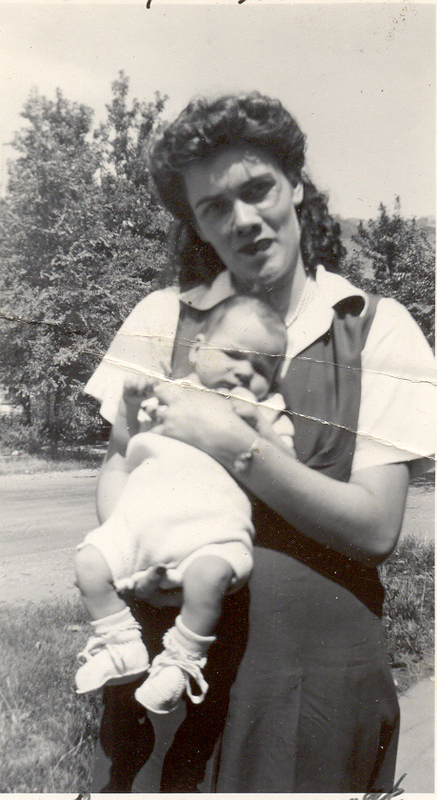 Milo and Gladys had three children; Milo in 1943 (my father), Judy in 1946, and Caroline in 1948. 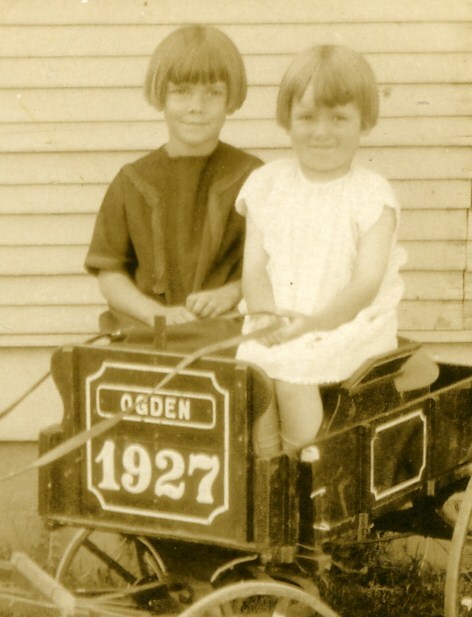 I think the following photo was taken on the steps of Grandma’s parent’s home on Wall Avenue in Ogden. 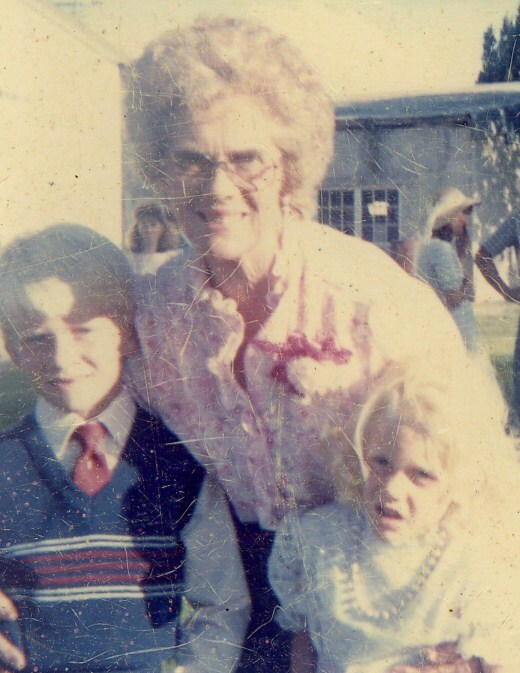 I believe this photograph was taken the day of Glady’s father’s funeral. 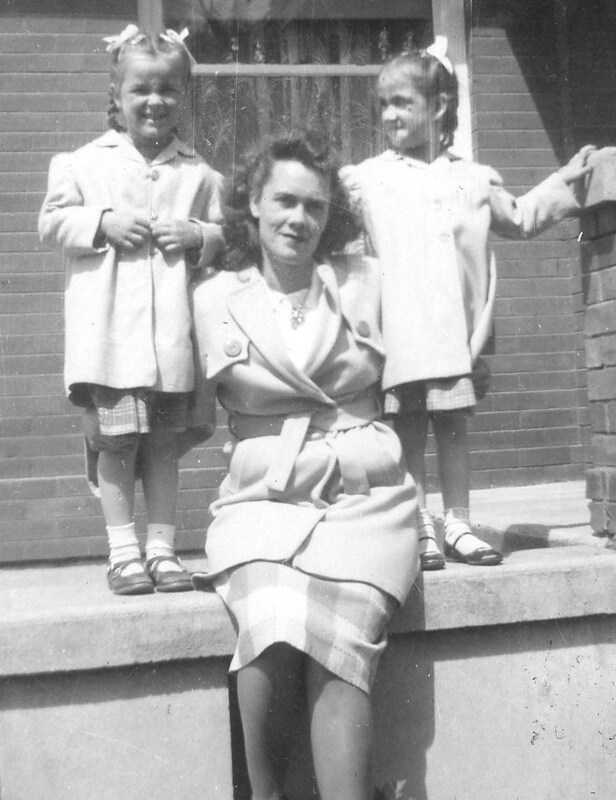 The little girls are Caroline (left) and Judy (right). 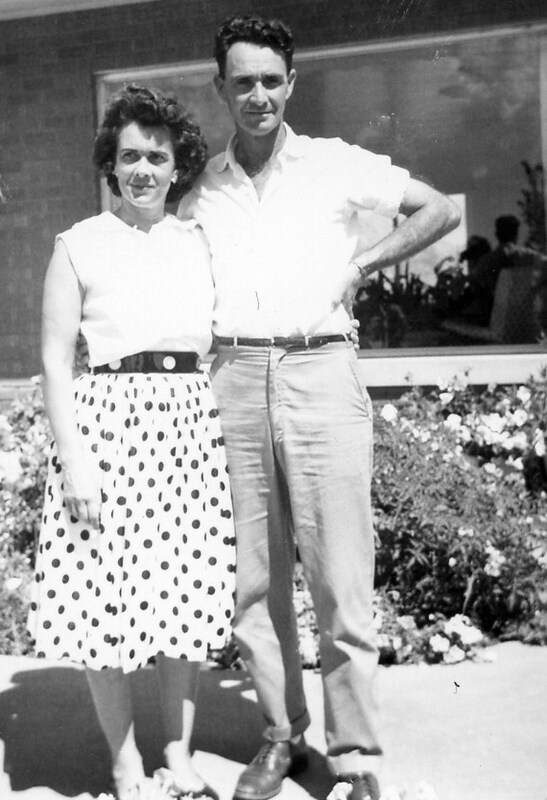 Here is a picture of Grandpa and Grandma in front of their home (built by Grandpa in 1955). If you look closely, you can see the back of them in the window. 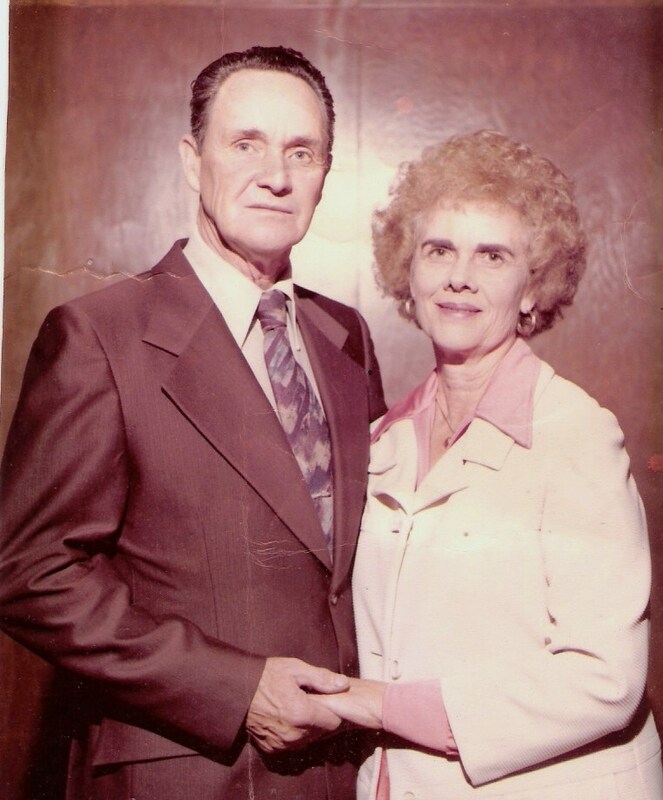 Here is a more formal photograph of Grandpa and Grandma. I do not know the occasion. I think this is the first photo I have with my Grandma. I do not know exactly how old I am, but I am most likely under 2 years old. 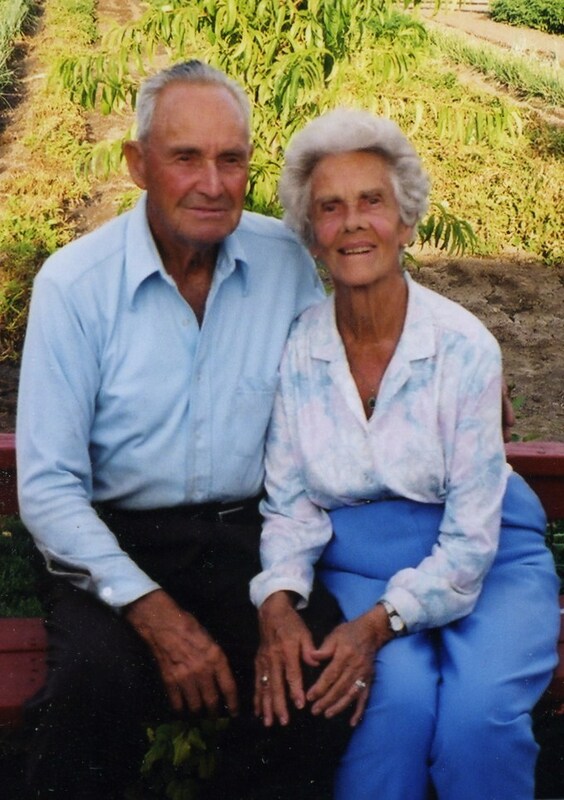 Since I grew up in Idaho, I only got to see my Grandparents once or twice a year. In this picture, I do not seem too sure of the lady on the bike! I do not recall what the occasion was for this picture but we were dressed up for something. I do not recognize the building. 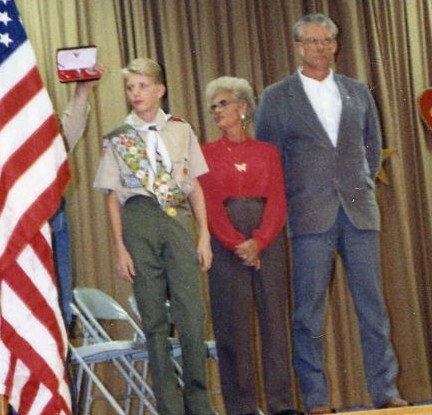 In 1992 when I received my Eagle Scout, my mom refused to step into an LDS church where the Court of Honor was held. Dad invited Grandma to stand in for my Mom. Mom arrived around the time of this photo in her thermal overalls and was royally upset and offended not only that my Grandparents were there, but that Grandma took her place. Either way, it was a great honour to my Grandparents, especially in light of the history between my Grandparents and Mom. In 1997, I moved to Logan, Utah to attend Utah State University. Since I lived so much closer, I made an effort to visit my Grandparents at least once a month or so. Typically it was not hard as I could catch a ride with someone passing through to another location. Grandma was always very kind and would repeatedly remind me how much she loved me and that there was always a bed for me to sleep in if I wished to spend the night. As her mind started to slip after Aunt Judy’s death the next year, she would often repeat the same two phrases at least every 15 minutes. While they were the repetitions of an old lady, I still recognized that they came from the heart of my Grandmother who dearly loved me. She knew me, loved me, and only had two phrases in which to express that in her mental infirmity. I now feel her love over and over again with the phrases, although at the time they were sometimes annoyances. I have to share a quick story at this point. I had just come home my mission in England in December 2000. I had not been home very long when I visited Utah again with my friend Dustin McClellan. I was given some gifts and homemade soap to drop off at Grandpa and Grandma’s in Plain City. Dustin and I stopped and we were visiting when Grandma left the room announcing she would cut up some fudge and bring it out. Grandma came into the room and I turned down the fudge (I try to avoid sweets). Grandpa took a piece and Dustin took a healthy portion. Dustin put most of it in his mouth and when Grandpa took a bite he exclaimed that the fudge was soap. Grandma had cut up the soap we brought as a gift thinking it was fudge! The look on Dustin’s face was clearly a man who had taken a mouth of fudge and was completely disgusted and deceived but did not want to let anyone know lest he offend my Grandma. Grandpa had to take the soap from Grandma who was about to eat a piece despite the warning. Dustin who was nearly foaming at the mouth from the soap excused himself to wash out his mouth. We still laugh about this episode now, 10 years on. Another episode occurred in 2001, probably around September. I was driving through with a friend, Kevin Orton, for business and I convinced him to pay a stop on my Grandparents. It was a fairly routine visit and Grandpa invited Kevin and me to go out back to visit his large garden. Grandma walked with us and after a while we all retired to the back porch to sit a while. Grandma went in to the house after offering us all a drink. Grandpa went after her because she was so forgetful (to the point that he was concerned about her safety when cooking). She opened the door, walked in, and Grandpa caught the screen door as it was closing. Grandma turned and exclaimed, “Don’t touch my damn door!” Grandpa jumped back, let the door close, and Grandma closed the door behind. Right before she closed the door all the way though, she spoke softly, “I love you honey.” She then closed the door and we heard it lock! Kevin and I laughed and laughed about the whole scene. Even years later he will randomly reference this experience. 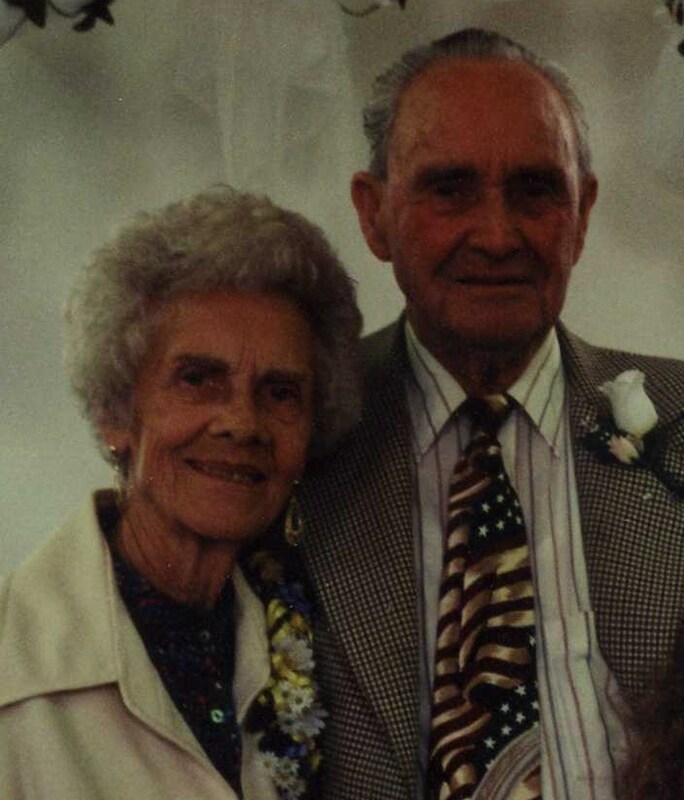 Here is a great picture of Grandma at her 60th wedding anniversary. She looked great but her memory was pretty much gone and I think she was lost half the time she was there. Jennie Britzman, Grandma’s first cousin, came to visit and this picture was snapped. Grandpa was Grandma’s full-time caretaker by this point (Grandpa and Grandma were both about 82) and they rarely strayed far from home. I believe this is the last photograph I have taken of Grandma before she passed away. Grandpa looks younger and Grandma looks happy. Grandma died 25 August 2004 in the new McKay-Dee Hospital in Ogden. 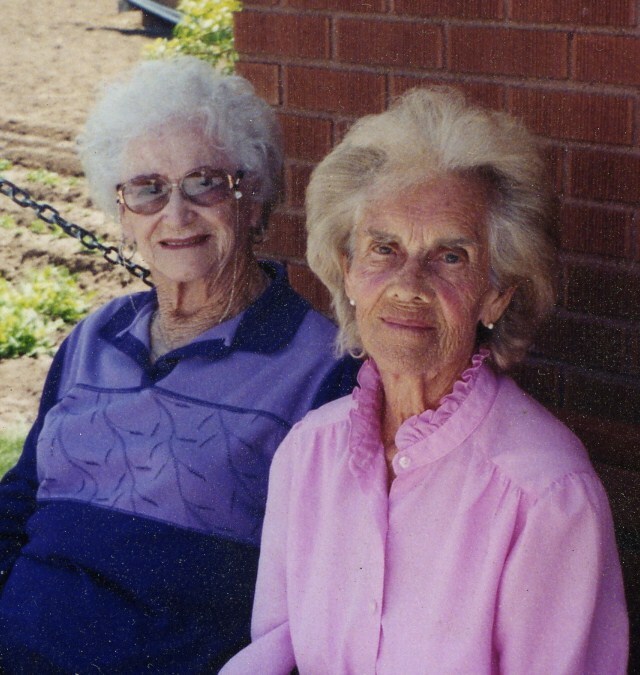 Her funeral and burial took place in Plain City on 25 August 2004. 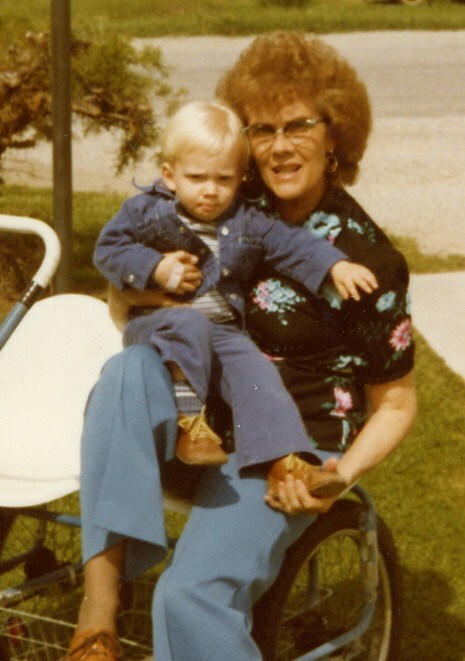 Happy Birthday Grandma, I look forward to seeing you again. This entry was tagged Britzman, Donaldson, England, Idaho, Logan, McClellan, Ogden, Orton, Plain City, Ross, USU, Utah. Bookmark the permalink.